Despite Australia’s proximity to Indonesia, my first knowledge of the vast archipelago came via the Netherlands. At our suburban home in Brisbane, my Dutch father who immigrated to Australia in the 1970s, would cook favourite dishes from his navy days, such as nasi goreng. In summer, he wore a faded silk-screen sarong which he taught my sister and me to wrap and tie. When I was nine we visited The Netherlands for the first time and I remember the exotic decorative objects and fragrant Indonesian feasts in the home of my Indonesian Dutch family. My first trip to Indonesia came much later in 2014. I had the good fortune of travelling to Semarang in Central Java as part of the Sangam Craft-Design platform with a small party of Australians working in the field of craft and textiles. We met local artisans and discovered the significance of batik and the skilled processes involved. In the soporific heat and exotic tropical landscape, it was a memorable sensory introduction to Indonesia and its textile heritage. As a fashion lover with a penchant for vivid colour and prints, it was fascinating to visit a batik workshop. I marvelled at the intricate metalwork involved in creating the fine copper stamping blocks, the hand-drawing of the wax, and the dyeing done layer by layer. I gained a new perspective and deep appreciation for the multi-coloured and finely drawn large-scale batiks found on sarongs and shirts. A couple of years later, my work as a fashion academic and interest in Indonesia provided the opportunity to create and lead training programs in Australia for Indonesian fashion and textile designers as part of the Government’s Australia Awards program. I have been doing this work for two years now and have been enriched by visiting several more Indonesian cities and meeting spirited designers and entrepreneurs from across the archipelago. Indonesia has a thriving fashion industry where textiles and fashion design receive support from both the government and corporate sector. Indonesians love shopping and dressing up. Every Indonesian speaks passionately about their national textile crafts and proudly wears garments made from traditional fabrics. 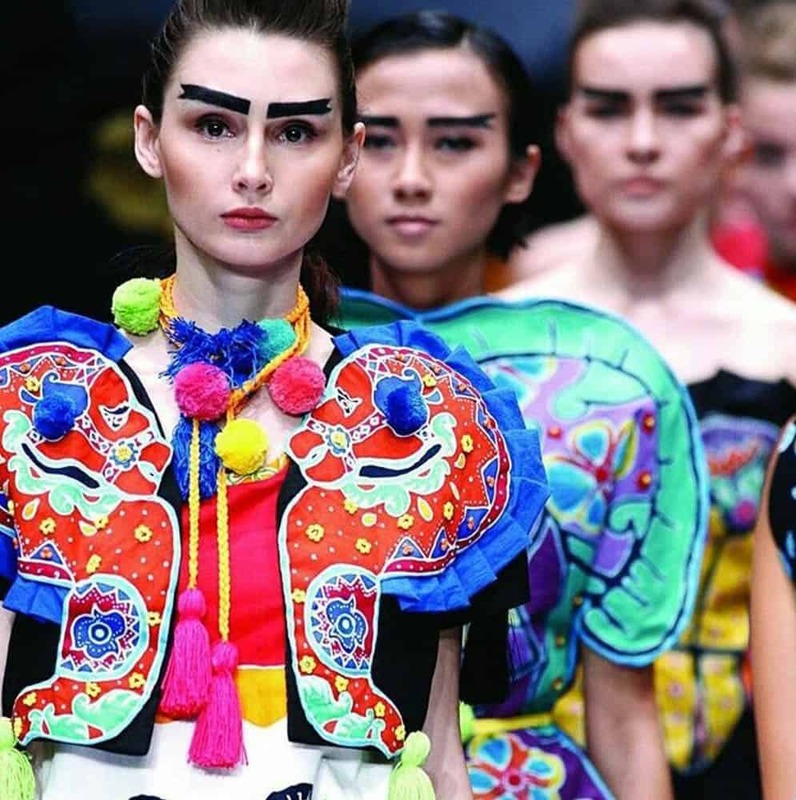 Indonesian craft and culture is featured even in the most western and modern designers’ collections. Batik and hand-weaving are never out of style. Approaches by Indonesian fashion designers to modernise their crafts are varied. “Keep the Heritage Alive” is the brand slogan of Batik Chic, a fashion business by designer Novita Yunus. Novita finds her primary inspiration in “Wastra Nusantara” translated as Indonesian fabric. Based in Jakarta, a heaving city of modern shopping malls, the Batik Chic boutique is an intimate space where the clothes are displayed in a curiosity shop-like environment, among Indonesian artefacts such as wood carvings, puppets and wall hangings. Visitors can relax beside the pool in the shop’s tropical courtyard. It is an oasis of calm and tradition among the skyscrapers and traffic congestion outside. Novita’s passion is to create premium fashion products showcasing Indonesian fabrics. She is inspired by the history and philosophy behind different textiles, these include hand-drawn and stamped batiks, hand-woven fabrics and songket. Her garments and accessories are bold in their use of textiles, often richly patterned and textured, mixing multiple materials or techniques in an outfit. 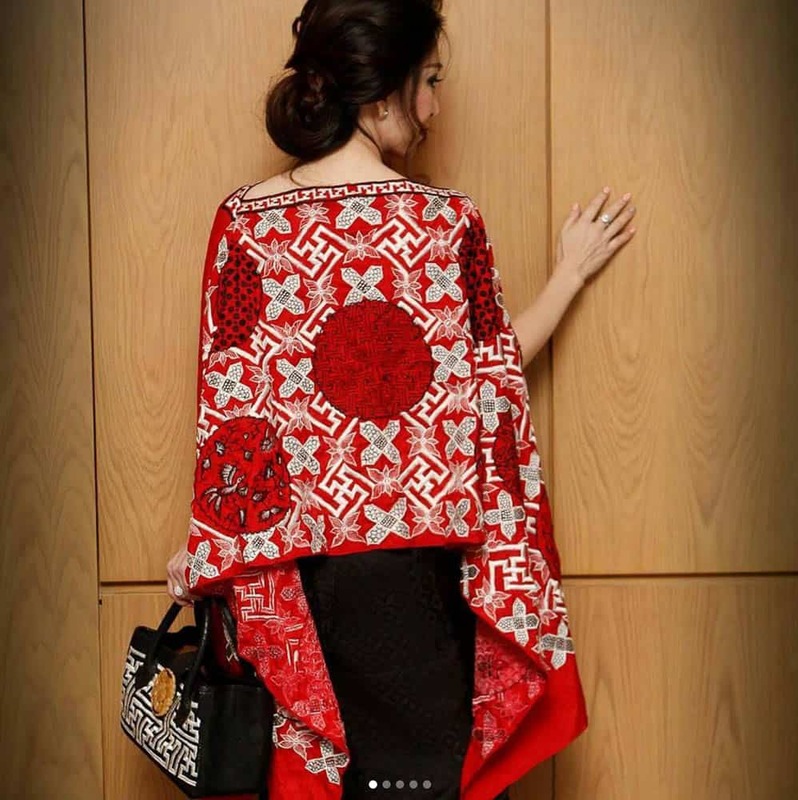 Her elegant garments are often based upon traditional Indonesian dress, such as the kebaya, as well as easy-to-wear pieces such as kaftans, tunics and trousers. Everything is designed for versatility and layering. 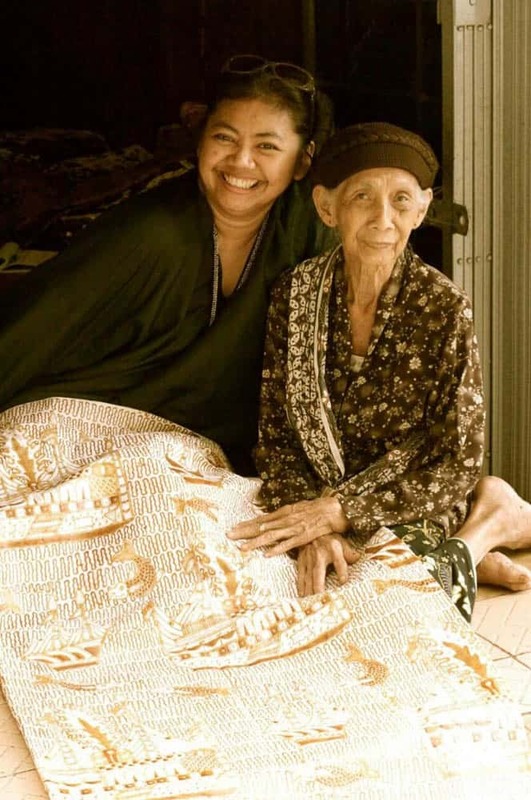 With her ever radiant smile, Novita is a passionate business woman and advocate for Indonesian craft. 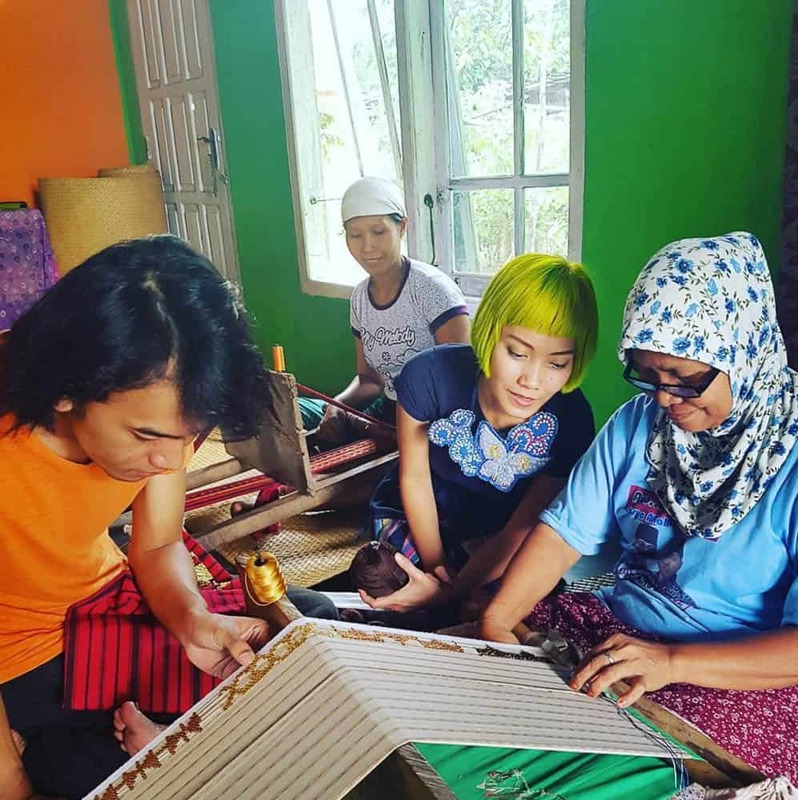 She travels from East to West finding fabrics, from Sumatra to Sumba, Java to Borneo, sometimes using traditional fabrics and vintage pieces, or working with craftspeople to explore new textile designs exclusively for Batik Chic. Part of her design process is getting to know the craftspeople and the kinds of fabrics they make, and collaborating to achieve quality products. Novita is always hosting exhibitions, fashion shows and panel conversations, all designed to educate her customers about Indonesian fabrics and her fashions. Topics include how to mix and match fabrics and products, the history of the fabrics and where and how you can wear the fabrics. She invites anthropologists to tell the stories of textiles and traditions. 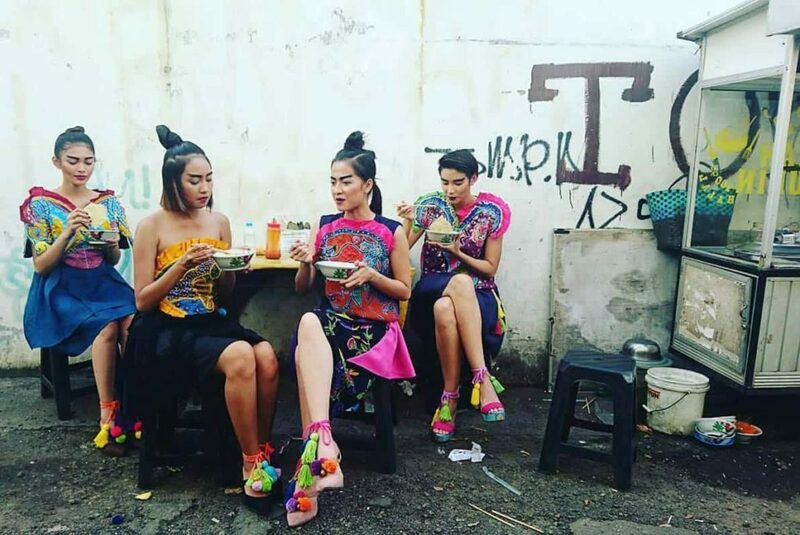 Instead of professional models, Novita has her customers model in her fashion shows, creating a vibrant community around her brand and increasing the knowledge and appreciation of Indonesian craft among her high-end fashion clientele. Another designer and ambassador for Indonesian craft and culture is Lenny Agustin. Also based in Jakarta, Lenny looks like a doll with her rainbow hair and playful hand-crafted fashion. She told me that her husband buys her jewels, but she prefers to wear patchwork and crochet necklaces. Lenny is a fashion performer, always Instagram ready and she has a dancer like quality. She wants to make people happy through fashion, both the customers of her artistic clothes, and the craftspeople who she works with. Lenny is inspired by Indonesian traditions and cultures with a touch of Japanese harajuku. She spends a lot of time in research and development, travelling across the country, working with artisan communities for several months to develop and innovate traditional techniques. For her fashion, Lenny adapts traditional materials, making them lighter, with contemporary colours, modifying traditional motifs and commissioning naïve and cartoony designs. Her updated craft fabrics are then applied to her young and dynamic designs. She uses batik, hand-embroidery, tie-dye, hand-weaving and crochet. The overall effect is striking and theatrical, a collage of colour and texture on sharp and youthful silhouettes. Her pop-art fashion is like craft couture. The concept and title of her collections are inspired by different regions in Indonesia, such as “Borneo Off Beat.” Through her electric and whimsical universe, she brings hand-craft to high fashion customers. For a recent collection, Lenny spent a year teaching forty women embroiderers in Pontianak, West Kalimantan. 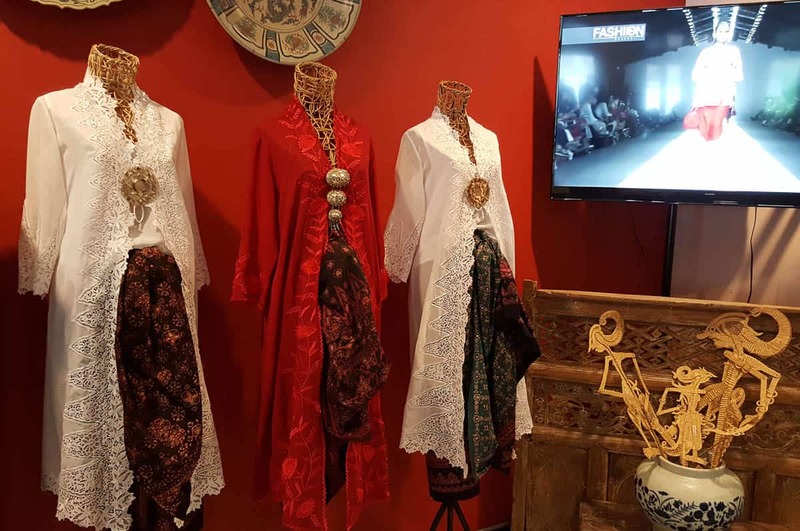 The women she teaches pass the new knowledge on to others, improving local products and business, and enabling the embroiderers to exhibit regularly in Jakarta. Beyond the work for her own collections, Lenny helps to bring work from other designers to her artisans, in order to grow their businesses and increase the commercial value of their work. Thanks to the many Indonesian fashion designers I have met over the last 18 months, I now know many more ways to tie a sarong, and have enjoyed delicacies beyond nasi goreng. Indonesia’s vibrant foods and fabrics reflect the diversity and multicultural beauty of the country. 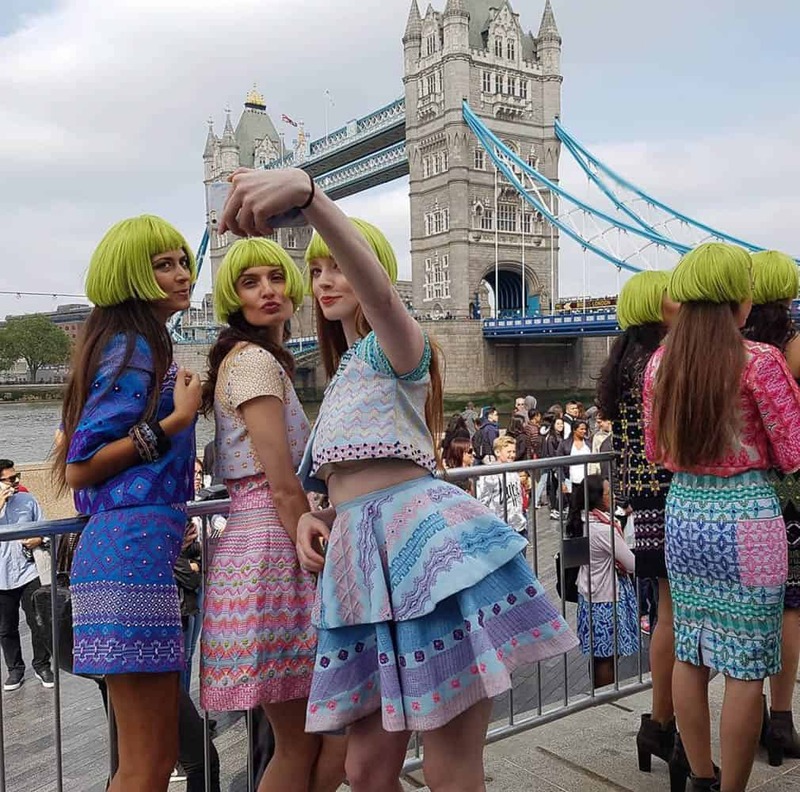 The creativity and spontaneity of everyday life and dress is a joy to experience, and the readiness and fearlessness to play with textiles is inspiring for any fashion lover. Carla van Lunn is a fashion designer and educator based in Brisbane. 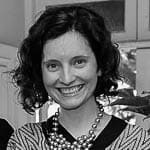 She lectures at the Queensland University of Technology and is the course leader and designer for the DFAT funded Australia Awards Indonesia short courses for fashion and textiles. 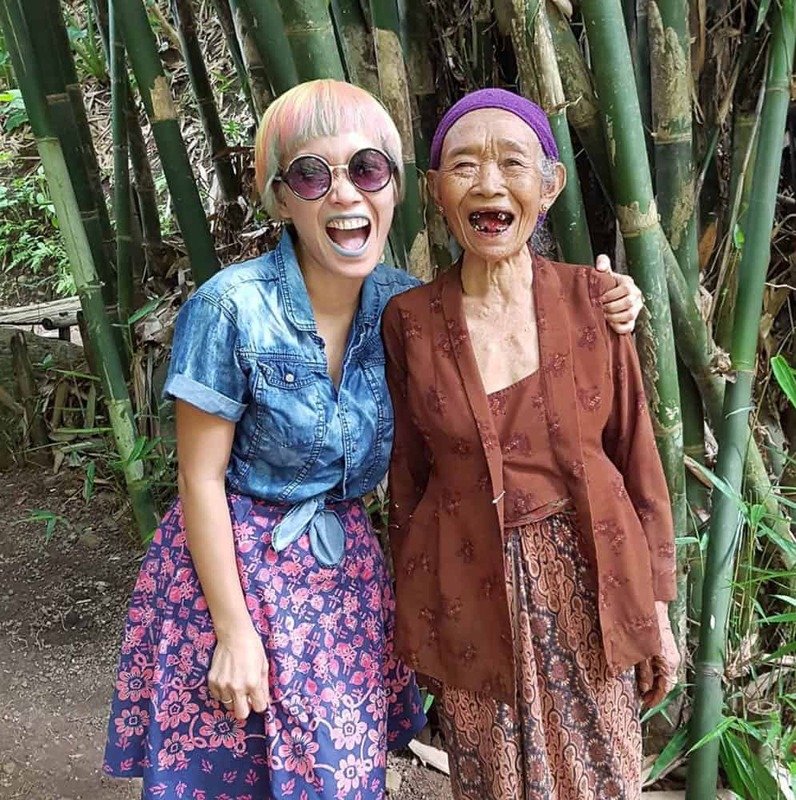 She is a crusader for craft and integrity in fashion, and adores wearing colourful batik. Thanks for sharing these stories Carla. I love how the designers are combining their traditional crafts with modern sensibilities. It just makes me want to go out and buy some! Insightful article Carla! Lenny and Novita are doing such great things for Indonesian fashion. I really appreciate how this form of slow fashion has generational impact.